Are you looking for old rare items? You can now pay with SmartCash at the Adelheid Antiek store in the Netherlands. You can now buy a great cup of coffee using SmartCash at Spill the Beans Café in Montreal, Canada. The popular Backyard Hotel in Costa Rica now accepts SmartCash! Several new stores in Brazil will now be accepting SmartCash payments in person, including several of the popular clothing store chain, Kattleya. 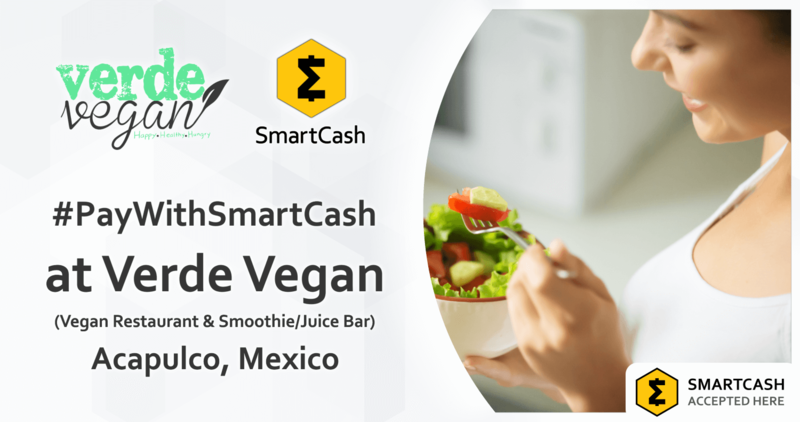 Popular vegan restaurant in Acapulco Mexico, Verde Vegan, is now accepting SmartCash payments. This is the go-to restaurant for crypto enthusiasts attending the Anarchapulco event. There is presently one proposal open for voting at the SmartCash Voting Portal. The next release of SmartCash, v1.2.8, is undergoing final testing. This version introduces a higher SmartNode collateral amount in order to improve the quality of nodes on the network. Read more about the update at the announcement here. Read the latest update on Bitcoin Confidential and check out the teaser screenshots at Coinlance. This is the first SmartCash BitugaX ATM machine in Portugal. SmartCash is also available at 11 bitcsuisse ATM locations in Switzerland. Check out the SmartCash T-Shirts and other merchandise available at the new online SmartCash outreach store run by team member illumin8. SMART payments are accepted! Check out the recap of the Paris Blockchain Summit in France, where attendees learned about the SmartCard. A summary of the notable event is also posted at Coinlance. Listen to the recent SmartTalk Radio Episodes on YouTube: SmartTalk Radio E07 – Adam Kokesh and FREEDOM, SmartTalk Radio E08 – SmartShift and SmartVault and E09 – Crypto Communities, Anarchaforko and Tatiana Moroz. There is a new SmartCash WordPress WooCommerce plugin that makes it seamless for web stores to accept SmartCash and automatically convert to fiat using integration with Kamoney. 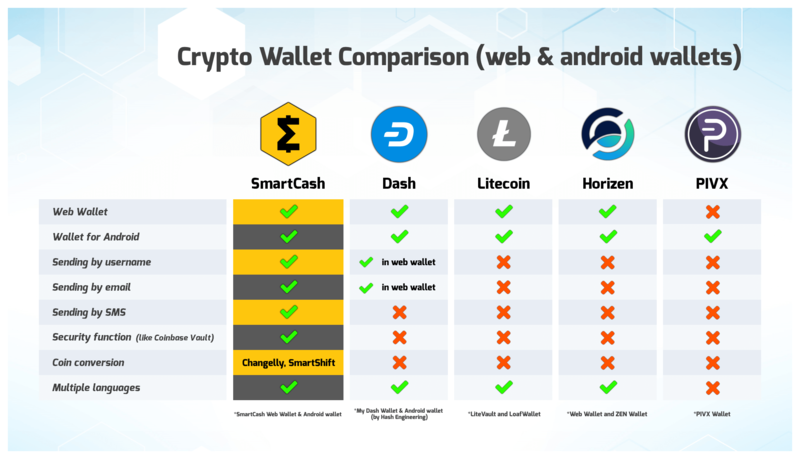 Read about SmartVault and SmartShift in the recent article, “New SmartCash Web Wallet Features Make Crypto Cash Accessible to Everyone” by Coinlance. GeneralBytes ATM tweeted, “SmartCash support is listed on the features tab of both, BATMTwo and BATMThree platform. https://www.generalbytes.com/batmtwo . We have instructed the web designer to add the coin token to our homepage”. Be sure to ask your local GeneralBytes ATM owner to enable SmartCash! Remember, the best place to get support 24/7 is at the SmartCash Discord, but there are also support articles on common topics on FreshDesk here. Helpful visualizations and other SmartCash Coin Statistics are available and updated regularly at smartstats.cc. There are now 16,431 Smarties on the SmartCash Discord Server, 3,203 on Telegram, 14,085 followers of @Scashofficial on Twitter, 2,891 subscribed to /r/SmartCash on Reddit, 1,593 followers on Instagram, and a growing presence on Gab.ai with 174 followers. We have 12,255 enabled SmartNodes, our blockchain has a current height of 879,377, and in the last 24 hours it has transacted 12,677,982.00 SMART via 1977 transactions! There are 28,789 addresses eligible for SmartRewards, which is currently expected to pay around 0.83%. Our official mining pools have a total of 1,526 workers and have paid out 6,529 SMART in the last 12 hours. CoinGecko currently has SmartCash ranked at #126. They report a 1.773% change in price and a USD volume of $154,067 in the past 24 hours.